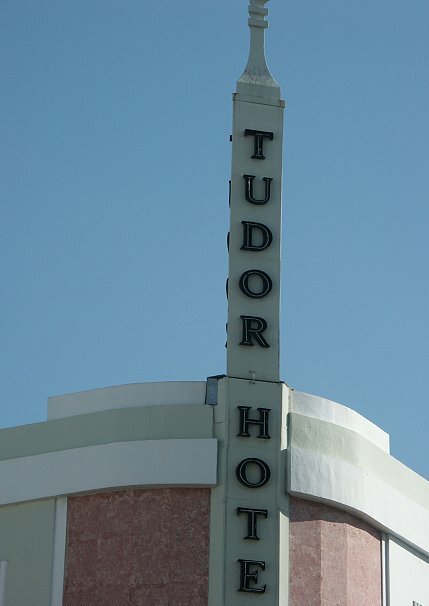 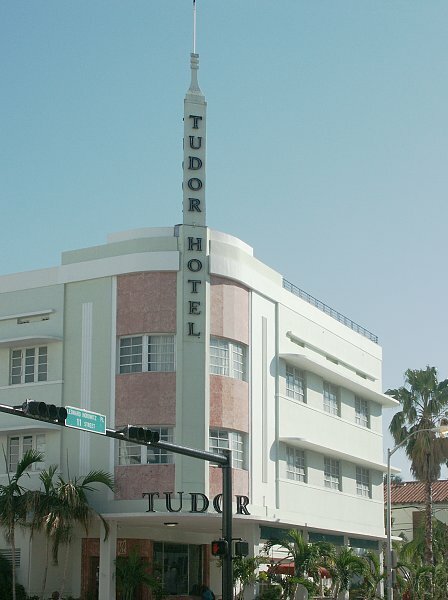 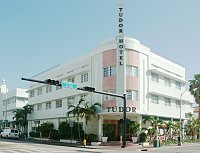 Images of the Tudor Hotel by L. Murray Dixon. This hotel emphasizes its corner site by the pink decorative stone, the angled entrance, the signage, and the needle-like spire. The continuous eyebrows underscore the horizontality of the building as do the narrow "eyebrows" above the vents on the top story. 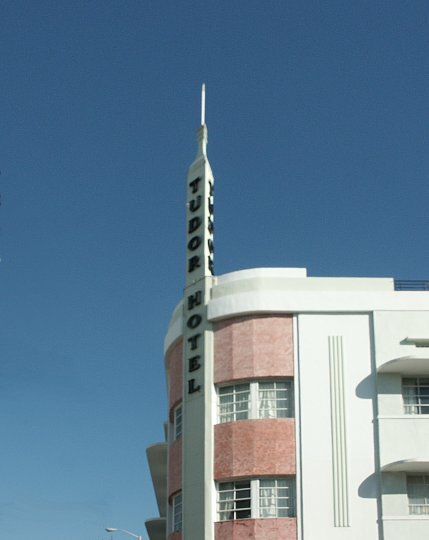 While horizontality is emphasized on the sides, the corner, with the decorative stone, vertical fluting, and tall spire, soars upward. 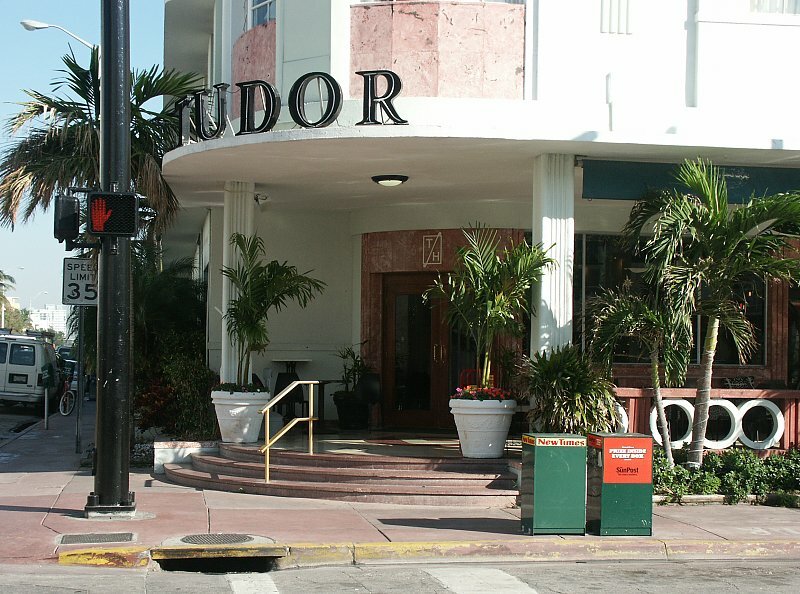 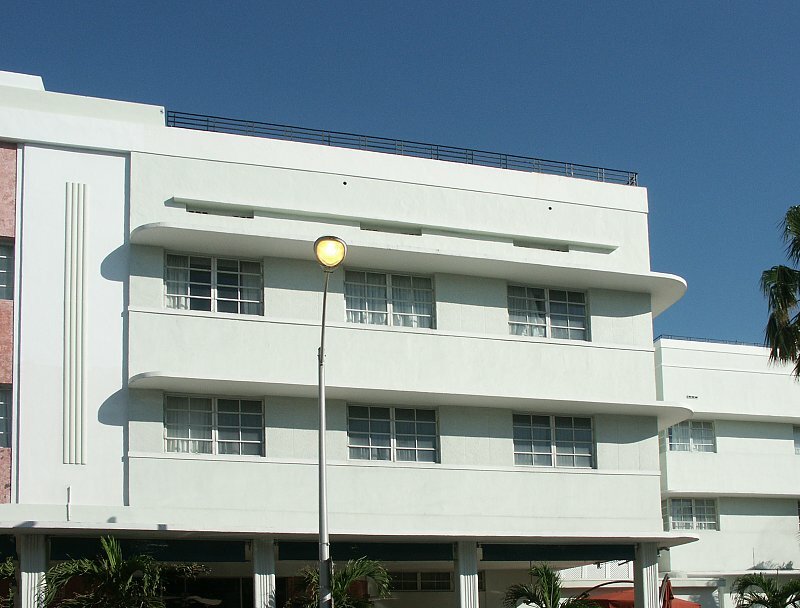 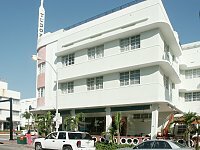 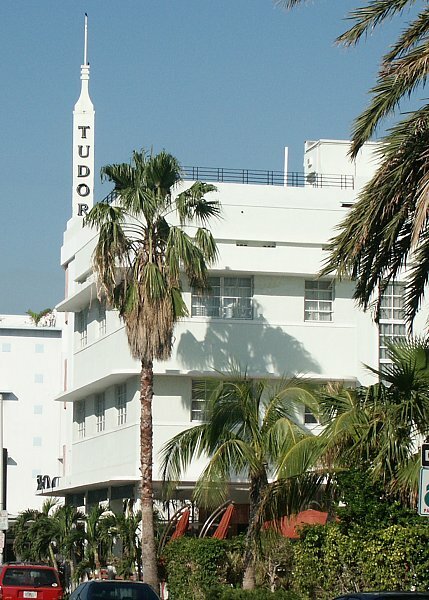 The rooftop railing and the circular motifs on the ground floor balustrade are similar to the nautical elements which occur in a number of Miami Beach hotels. 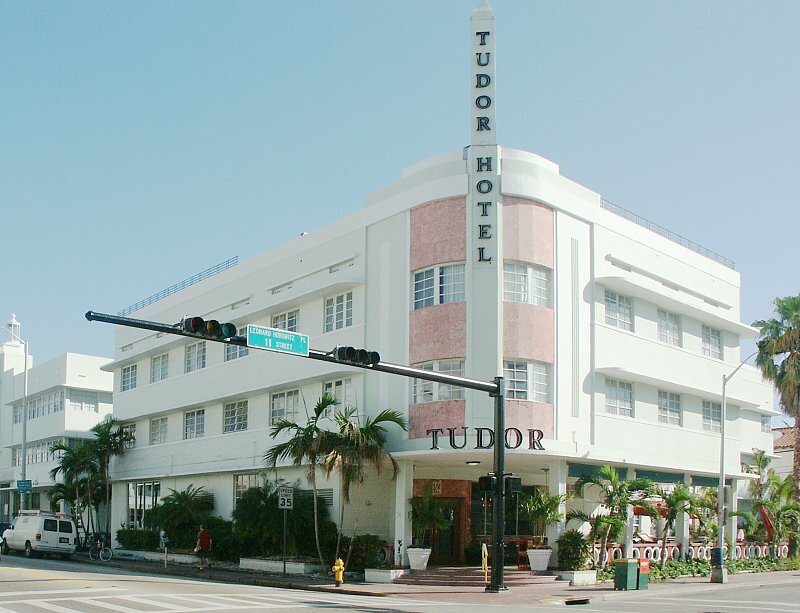 See the Index for other hotels on this site by Dixon.